According to a report on baby diapers market mize, share & trends analysis by Grand View Research, the global baby diapers market size was valued at USD 45.08 billion in 2016 and is expected to develop at a CAGR of 6.2% over the forecast period. 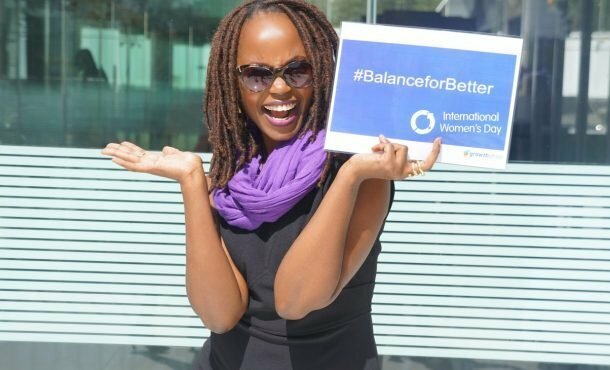 Now at the heart of Uganda’s capital Kampala, is one Valerie Muigai, Founder of Kijani Uganda Limited whose business is committed to provide 100% environmentally friendly and cost-effective diapers to mothers in that country. Today she has employed and trained 13 women in making reusable diapers. This is her story. Kijani means “green” in Swahili and we wanted to focus on the environmental benefits of using reusable diapers. We wanted a name that could appeal to an East African audience since we also hope to expand into Kenya. Currently we are only operational in Uganda. Who is Kijani Limited Uganda? 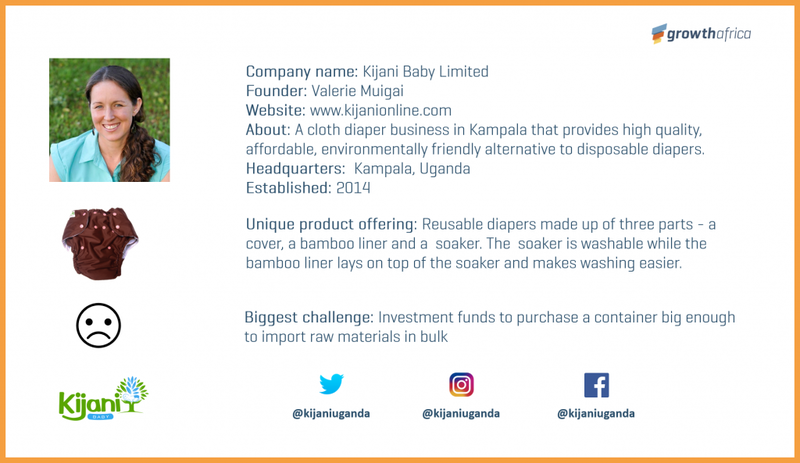 Founded in 2014 at the servant’s quarters in my house, Kijani Limited creates jobs and grows the local economy by manufacturing and selling high quality reusable diapers for babies and children with special needs. The idea was first triggered when my husband and I realised that we were expecting our first child. Since my husband had just enrolled into graduate school in the US, we were trying to see how we could save money with a baby on the way. We discovered the option of reusable diapers and used it with our first daughter. With a second child on the way, a friend taught me how to make the reusable diapers which I used on him too. When my son was 5 months old, we moved to Uganda and I carried the diaper sewing fabric with me. I initially started making reusable diapers for friends as gifts. As soon as my friends’ friends saw the diapers they started placing orders and here I realised that this product was not available in Uganda. Here, Kijani Baby was birthed officially. While working as a Director at an NGO focusing on international development, I began to see the limitations of development and how to eradicate poverty. I realised that people preferred a job to hand-outs and I began focusing on creating employment for women and causing real change. We have two main customer categories. 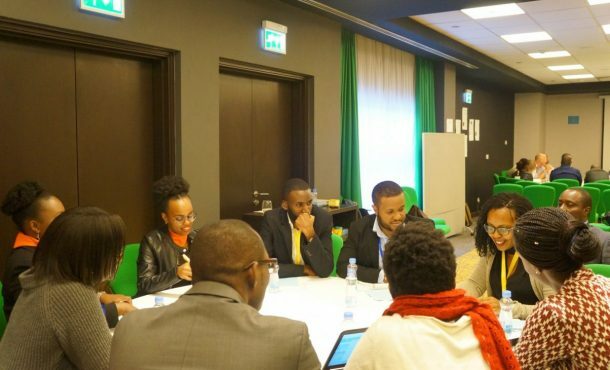 The first, who are our majority, are the middle-class Ugandan families that are looking to save money or looking for an environmentally friendly diaper option for their baby. Our second category is NGOs and social businesses who we partner with to help increase the access of our diapers to low income Ugandan families. We have currently partnered with three organisations and we hope that this number will grow so that we can reach the refugee camps and other rural areas. This is aimed at providing those families that can’t afford diapers completely with a more hygienic option. Since our brand is targeting mothers, we have other products such as reusable wipes, waterproof bags, baby clothing, all-natural rash creams and toys. 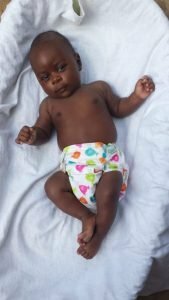 What makes the diapers unique? They are adjustable to an extent where a baby can use the same diaper at two weeks and at three years. We make our diapers in two pieces to make them cost effective – the cover is separate form the absorbent part which is the soaker. The soaker is changed regularly from 2-6 hours and covers are re-used. We have also designed a soaker that lasts through the night. Diapers last for 2-3 years or even more. What attracts your customers to you and how do you reach them? We believe that the ability of our customers to save money by purchasing our diapers is our what we would call our unique selling point since our diapers are cost-friendly. In addition, you find that some parents are looking for a healthier and more natural option for their babies. We reach our customers through Facebook, at supermarkets & events and through word of mouth. We have an e-commerce website where our customers purchase our wide array of baby items. To increase our reach we have partnered with Living Goods who help us sell the diapers through their big distribution channel. Another key partnership medium we use is Ultra-Finance who offer our diapers at a discount and on loans to women groups saving with them. We invested our savings and later engaged in re-investing profits. I am especially proud of our ability to grow without external investment. We have doubled our sales and employed 13 women. How do you ensure you continue standing out? We are trying to build a very strong brand. We are looking for innovative ways to partner with other organisations instead of relying on directly supplying to consumers. We would like to work with more micro finance organisations so that more women can access the diapers on credit. We also put a lot of emphasis on quality and to achieve this we have quality training sessions for our all tailors. Finally, we’d like to leverage existing distribution so that we can get our diapers to as many families as possible. What has been the most exciting experience in growing your business? It would have to be seeing the growth of the company and celebrating all milestones. In September 2017, we celebrated having sold 15,000 and we intend to grow this number to 20,000 diapers. When we started, we faced the challenge of finding high quality raw materials in Africa and importing them meant a higher cost. We were able to find a consistent supplier in China who was affordable and provided quality and this helped us to scale. What has been in the biggest challenge and how have you overcome or plan to overcome it? Our initial challenge was maintaining quality with our products and to curb this, we conduct quality training for our tailors. We also faced the challenge of getting the materials and fabric in good time since we were limited by inadequate funds to speed up the process. We used to ship by container which would take 2 or 3 months for the fabric to get here and this meant that we would constantly run out of money as we waited for the order to arrive. Today, we use air freight which though expensive helps us in cash flow and lead time and you can order in small quantities. This is the reason why we are looking for investment funding that will help us purchase a whole container of fabric which would cater for big orders. It would take 45 days for us to receive. What specific industry opportunities are you addressing today? 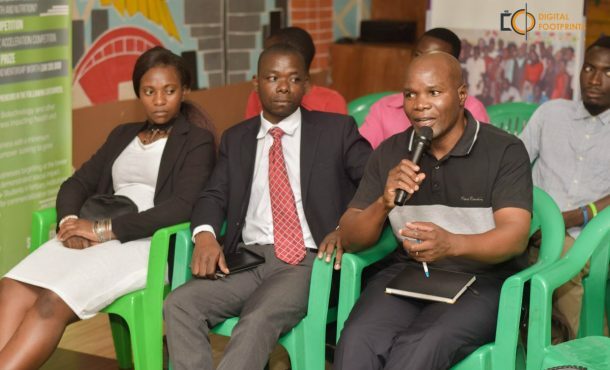 Being the only reusable diaper company in Uganda, we are addressing unemployment and promoting local manufacturing but we face the challenge of people’s perception that products made in Uganda are of low quality. What are your future plans and how will you ensure that you achieve them? 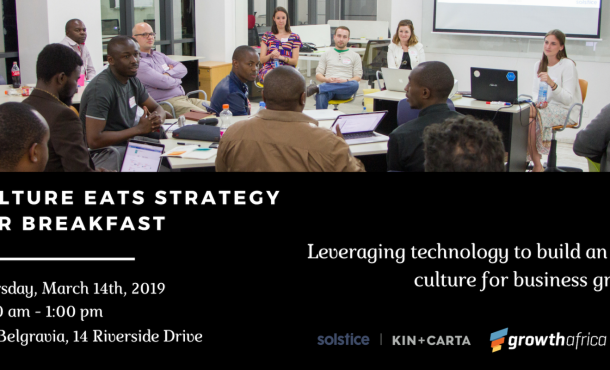 We plan on setting up a workshop across different parts in Sub-Saharan Africa as well as increase the number of partnerships to go beyond the urban population. 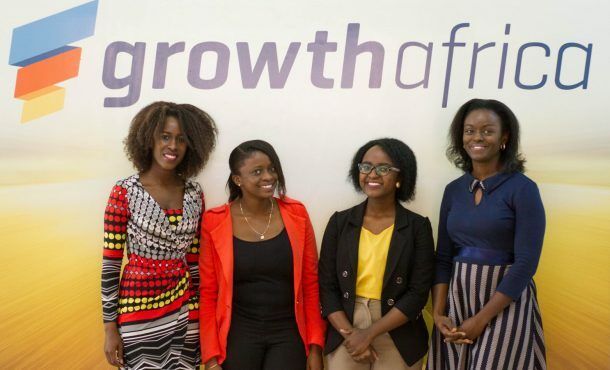 Why you joined the GrowthAfrica Acceleration Programme? 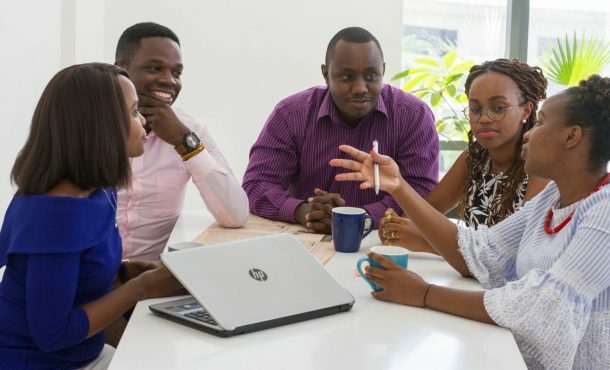 Having recently dedicated myself to grow the business on full time basis, I realised that I needed expertise on scaling the business and connecting with other entrepreneurs and investors. 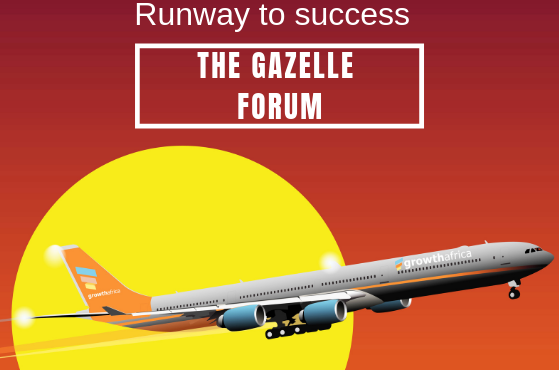 How the Acceleration Programme has helped you so far? I identified several gaps and I have taken steps to identify suppliers of other materials to help bring the cost of purchase down. We have also re-structured our marketing messages to improve how we communicate with our customers using videos. I took a video-editing course to help me improve this. I also adopted the idea I received on hiring contract tailors who we train and they sew at their homes. 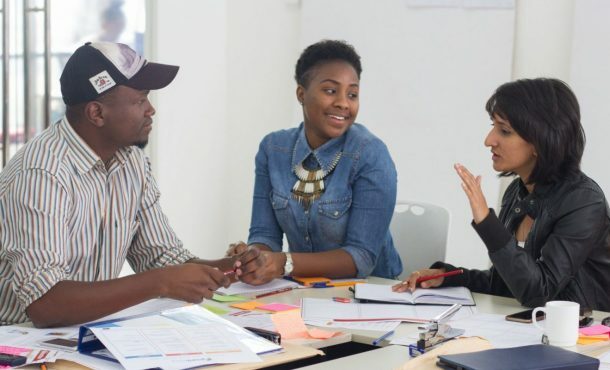 What’s your advice to entrepreneurs and upcoming entrepreneurs? Picking from our own journey, I would encourage them to just start with what you have since this will give you an opportunity to change course. Also learn as you go.